Is Netflix's alternative ending to The Notebook really so bad? Robert E. Lee "Prew' Prewitt: A man don't go his own way, he's nothing. Sergeant Milton Warden: Maybe back in the days of the pioneers a man could go his own way, but today you got to play ball. 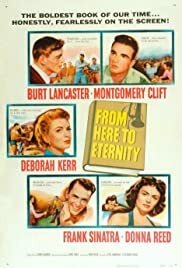 Q: Is 'From Here to Eternity' based on a book? 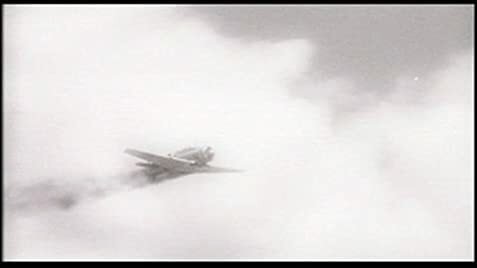 "From Here To Eternity" takes place right before the Japanese attack on Pearl Harbor. Thus, it's really not a war movie. Actually its more of a soap opera with Burt Lancaster putting the make on Deborah Kerr and Frank Sinatra having a fight with Ernest Borgnine and Montgomery Clift having a tryst with Donna Reed, which brings me to the element of the movie that I really liked: Donna Reed's character. In the movie Donna Reed plays a prostitute who wants to earn enough money to go home, but by the end of the movie circumstances have transformed her from cynical prostitute to fiancé and bereaved victim who has lost her man, and for whom things would never be the same. To me, this is what a good movie is all about - powerful and compelling character development within the context of a story that is credible and makes sense.